On a hot January afternoon, Fairlie Winter receives a phone call. Her best friend has just taken her own life. Jenna Rudolph, 26 years old, has left behind a devoted husband, an adorable young son and a stunning vineyard. But Fairlie knows she should have seen this coming. Yet Fairlie doesn’t know what Jenna’s husband Ark is hiding, nor does she know what Jenna’s mother Evelyn did to drive mother and daughter apart all those years ago. Until Fairlie opens her mail and finds a letter. In Jenna’s handwriting. Along with a key. Driven to search for answers, Fairlie uncovers a horrifying past, a desperate mother, and a devastating secret, kept by those she loves the most. 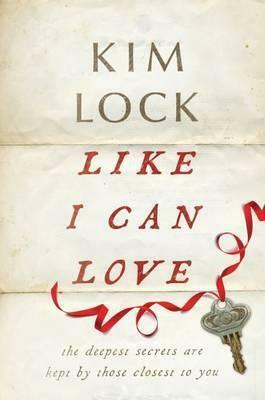 Heartbreaking and terrifying, Like I Can Love explores love in all its forms - from the most fragile to the most dangerous - and the unthinkable things we do in its name.